Satomura K, Kitamura T, Kawamura T, et al. Prevention of upper respiratory tract infections by gargling: a randomized trial. Am J Prev Med 2005; 29: 302-307. Goto M, Kawamura T, Shimbo T, et al. Influence of Loxoprofen use on recovery from naturally acquired upper respiratory tract infections: a randomized controlled trial. Intern Med 2007; 46: 1179-1186. Kawamura T, Kondo H, Hirai M, et al. Sudden death in the working population: a collaborative study in central Japan. Eur Heart J 1999; 20: 338-343. Iwami T, Kawamura T, Hiraide A, et al. Effectiveness of bystander-initiated cardiac-only resuscitation for patients with out-of-hospital cardiac arrest. Circulation 2007; 116: 2900-2907. 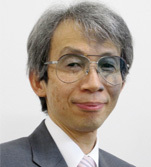 Kitamura T, Iwami T, Kawamura T, et al. Conventional and chest-compression-only cardiopulmonary resuscitation by bystanders for children who have out-of-hospital cardiac arrests: a prospective, nationwide, population-based cohort study. Lancet 2010; 375: 1347-1354. Kitamura T, Iwami T, Kawamura T, et al. Nationwide public-Access defibrillation in Japan. N Engl J Med 2010; 362: 994-1004. Goto M, Kawamura T, Ando M, et al. A scoring system to predict renal outcome in IgA nephropathy: a nationwide 10-year prospective cohort study. Nephrol Dial Transplant 2009; 24: 3068-3074. Yoshimizu M, Teo A, Ando M, Kiyohara K, Kawamura T. Relief of chronic shoulder and neck pain by electro-acupuncture and transcutaneous electrical nervous stimulation: a randomized crossover trial. Medical Acupuncture 2012; 24: 97-103. 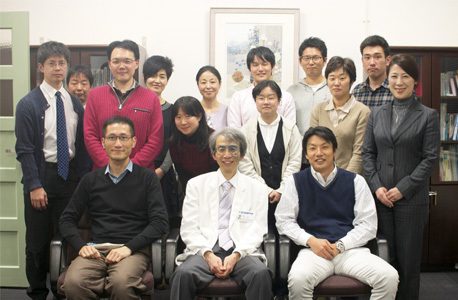 Wakai K, Naito M, Naito T, Nakagaki H, Umemura O, Yokota M, Hanada N, Kawamura T. Longitudinal evaluation of multi-phasic, odontological and nutritional associations in dentists (LEMONADE Study): study design and profile of nationwide cohort participants at baseline. J Epidemiol 2009; 19: 72-80. Kitamura T, Kawamura T, Tamakoshi A, Wakai K, Ando M, Ohno Y. Rationale, design, and profiles of the new integrated suburban seniority investigation (NISSIN) project: a study of an age-specific, community-based cohort of Japanese elderly. J Epidemiol 2009; 19: 237-243.